A PROFESSIONAL ONE-PAGE WEBSITE FULLY LOADED WITH ALL THE BELLS AND WHISTLES, IMPRESSUM IS THE MOST AFFORDABLE SOLUTION TO START YOUR ONLINE PRESENCE. IT WILL GIVE YOU AN OPPORTUNITY TO START YOUR ONLINE BUSINESS, TO LAUNCH YOUR PRODUCTS AND IDEAS, WITHOUT HAVING TO SPEND THOUSANDS OF DOLLARS. A list of pre-defined templates to help you generate your copy. This is the right place to start – you have the wireframe ready, just need the content. Modern, styled opt-in box that is connected to your email marketing platform so that you can build your email marketing list. Social media integration so your visitors can easily follow you and share your page with others. FREE Stock Photos that would suit the style of your website. Blogging capability so that you can write your own content and share it with your audience. A 30 minute walk – through call where you learn how to update your page and post to your blog so that you can continue making updates without having to depend on a web developer. A Professional one-page website fully loaded with all the bells and whistles, designed specifically for your needs. 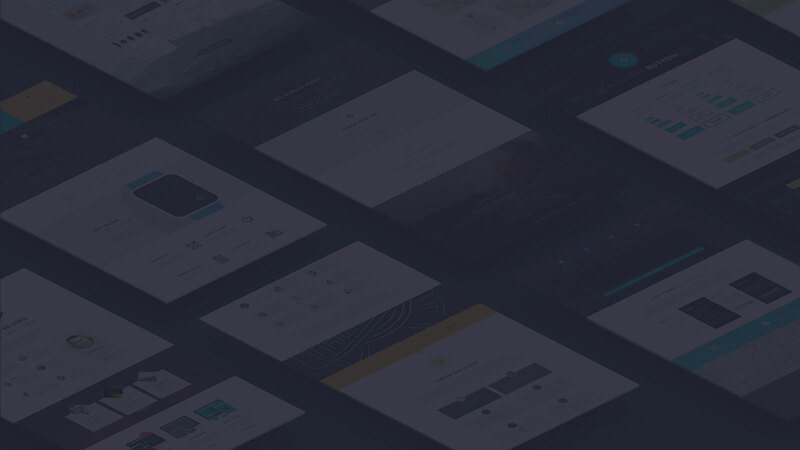 Choose one of our templates and start connecting with your clients, build your mailing lists, embed social media, get paid for your services. And all that for less than a week! One full year of hosting services for your impressum FOR FREE!!! Our hosting services include 5gb of web-space, 10 email addresses (without limit), unlimited traffic, 99.9% uptime guaranteed. Our experience says that this is more than enough for a start-up website! The value of our hosting plan is $60 / year. There are no hidden costs. For any changes in the hosting plan you will be informed at least 1 month prior your hosting plan expiration. To make the package FULL, we offer 50% discount of our website maintenance packages with every “IMPRESSUM” website! Check our website maintenance packages to see which one suits you best! WHY KEEP YOUR FUTURE CLIENTS WAITING? YOU CAN HAVE YOUR “IMPRESSUM” BUILT FOR JUST $349!!! Get in touch with us and let us know Your needs. We contact You and discuss further to get the right picture of what needs to be done. We create a working environment on our server where You can check the progress of your future website. When You are 100% satisfied with how your future website looks, we set everything for You on Your server and launch the website. How is it different from a landing page? A landing page is a page built for one specific purpose and is not usually developed beyond that purpose. “IMPRESSUM” is built to be developed as full website at some later stage, as Your business grows. What platform does "IMPRESSUM" use? “IMPRESSUM” is built on wordpress. It is the most common platform for creating websites these days. We chose it because of its easiness to be maintained by the client itself. The domain name is something you need to purchase prior to migrating the website from our test server. We can help you choose the best domain name(s) for your “IMPRESSUM“. After purchasing the domain we can help You point it to show to our hosting server. Why would I need maintenance package? As your “IMPRESSUM” is essentially a seedling WordPress site, it will need to be maintained to keep all the “moving parts” updated and keep it from being vulnerable to hacks and attacks. We offer 50% discount to all our maintenance packages for the first year for every package. We will do our best to do more promotional offers for our customers and up our service quality. What if I dont like your hosting? With every “IMPRESSUM” package you get FREE hosting services for the first year. The value of our hosting plan is $60 / year. There are no hidden costs and no additional fees. Our hosting services include 5gb of web-space, 10 email addresses (without limit), unlimited traffic, 99.9% uptime guaranteed… Our experience says that this is more than enough for a start-up website! If you think our hosting services are not good we will move your website to your new host for FREE! NOT QUITE SURE THIS WILL WORK? We are group of innovative people with more than 15 years of experience in the fields of Web Design, Website Maintenance and Server Maintenance. We want to be a long term partner that is vested in your success and can help your site grow as your business needs grown. We strive to make sure that services we deliver is not just a complete high quality service, but also an innovative solution.